It’s hard to think of anything to dislike about this Golf, except perhaps the colour. It’s not that I can’t see the slightly eccentric attraction of Turmeric Yellow, it’s just that everyone who saw it said, “Ooh, it’s yellow! Why did you choose that colour?” and it got a bit wearing. Colour aside, this car is unequivocally superb. I suppose when you’ve spent more than 40 years honing one model, you should have managed to iron out most of the kinks and that’s exactly what Volkswagen has done. 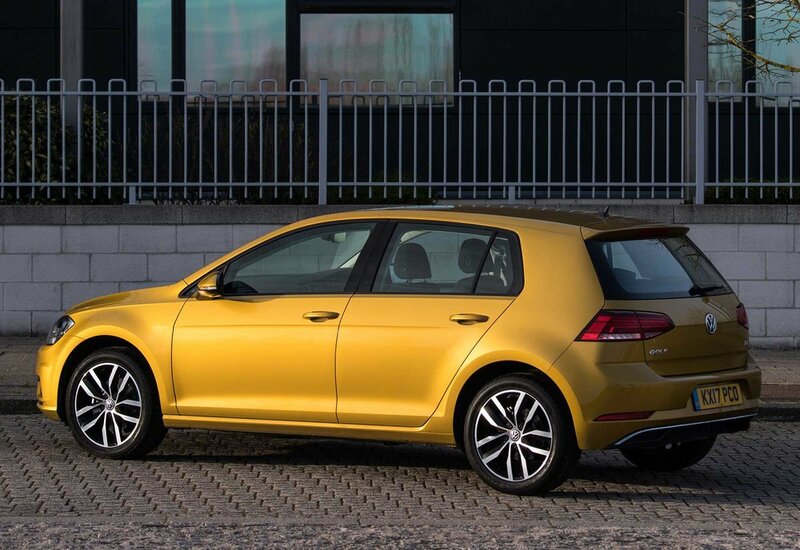 The Golf is the car most people in the popular hatchback bracket would like to own if they had the dosh. One of my ooh-it’s-yellow friends admitted it was his dream car, which seemed a bit low-aiming to me (surely a ‘dream’ car should be a Ferrari 250 GTO?) but he was insistent. And maybe he’s right. Who wants a £52 million car anyway? Since the first Golf arrived in 1974, the R&D people have been refining the engine, the drivetrain, the economy and safety and handling and roadholding and in-car techno-gadgets and rarely is any car so fault-free. To pick a tiny detail, even the wing mirrors, no doubt with clever fuel-saving aerodynamics firmly in mind, are exquisitely shaped but I also like the aforementioned engine, drivetrain, economy, safety, handling, roadholding and in-car techno-gadgets too. Above all, there’s the smoothly solid ride of magnificently engineered suspension. 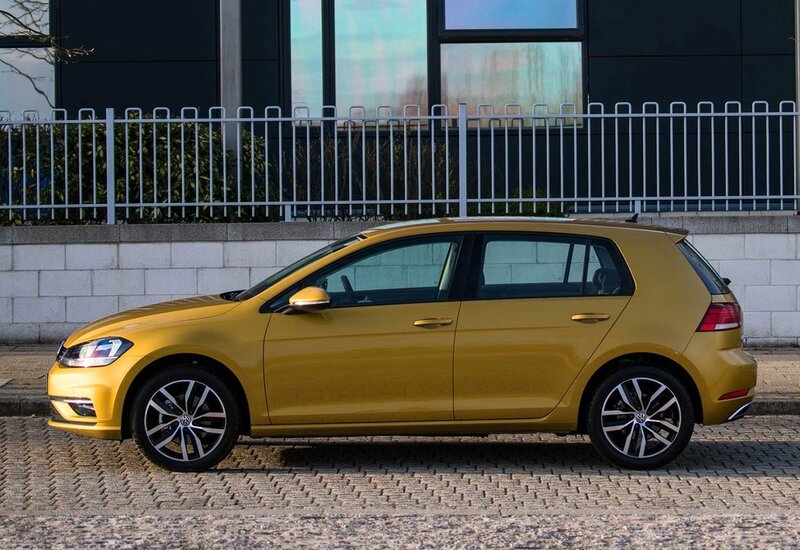 This Golf feels as though it’s been developed with typical average road speeds in mind, and honed to give a feeling of vibration-free comfort. Performance? Well, zero to 62mph in 9.9 seconds is pretty outstanding from a 1.0-litre three-cylinder engine that claims 58.9mpg Combined and – judging by our week-long test drive – comes in at a real-world figure not a million miles adrift of that, even when driving quite spicily. Of course, a sense of sprightly performance depends not just on ultimate acceleration figures, but on a car’s response to small throttle inputs – and you do need a bit of determined footwork to get this Golf off the line. 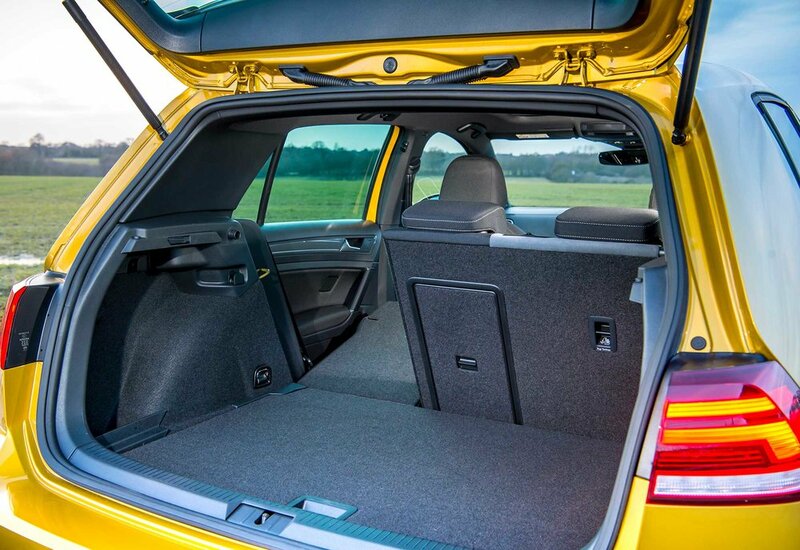 Yet it still offers surprising alacrity for what is, let’s face it, a huge and heavy automobile compared with the original 1974 Golf. Or even versions just a few years old. 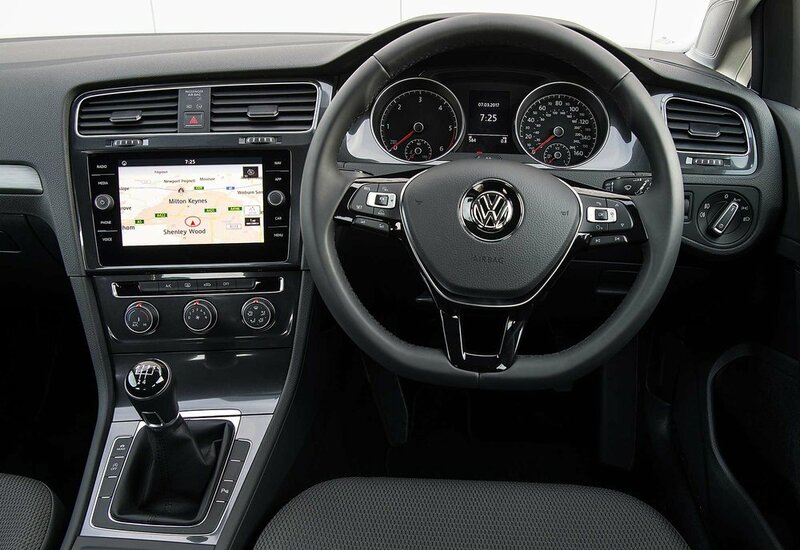 Meanwhile, changing gear is a pleasure rather than a burden, as the 6-speed manual gearshift is without flaw, and life on board is made even more serene by the intuitively easy-to-use (a VW speciality) infotainment system. An 8.0-inch colour touchscreen is standard on this trim level but our test car (an SE Nav 1.0-litre TSI 110PS) came complete with an upgraded 12.3-inch high-res TFT ‘Active Info Display’. Seat comfort, a factor I spurned in my youth but have come increasingly to value, is better than many a car with a price tag three times larger, and the difference between the highest and lowest positions of the seat is huge – enough to accommodate six-and-a-half-footers and short-arses like me with equal aplomb. 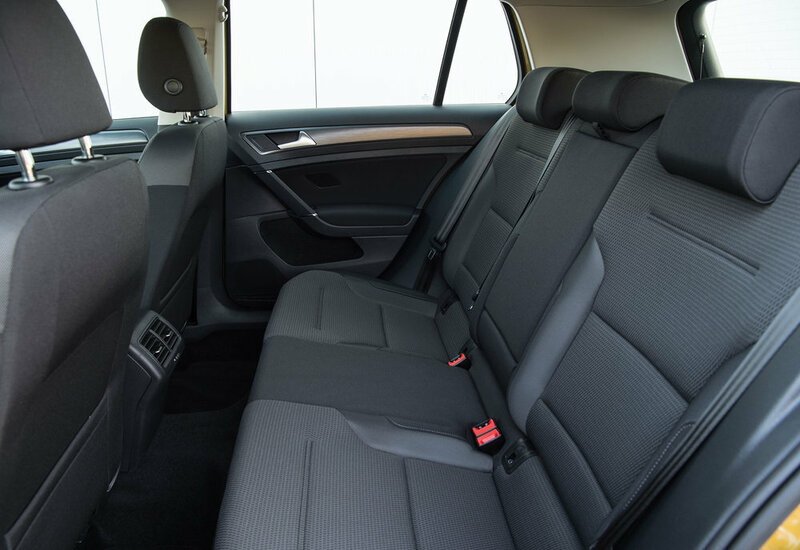 However… our test model did have the (ouch) £2,115 option of heated front sports seats with leather upholstery and adjustable lumbar support. And there, perhaps, is the downside of this car, in common with most of its German relatives, as the digestible RRP of £19,910 is never going to be the real-world price. Our test model boasted optional equipment that boosts the price to £26,705, which I make a startling 34% extra. Ouch again. So perhaps those gorgeous sports seats will have to go, along with the electrically adjustable driver’s seat (another £595 on top of the already stonking £2,115), especially as I prefer the more rapid manual adjustment of a good old lever and wheel. But what about that Turmeric Yellow metallic paint job? I admit I’ve grown to rather like it, but at £575 I think I’ll give it a miss.